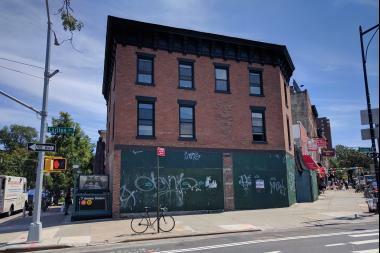 Chipotle will set up shop in 347 Flatbush Ave. by the end of the year, the company said. PROSPECT HEIGHTS — A new Chipotle restaurant is coming to the neighborhood this fall, one of three new locations for the Mexican chain in Brooklyn this year. The new Chipotle will be located at 347 Flatbush Ave. in a corner storefront where Park Place intersects with Carlton and Flatbush avenues in Prospect Heights, the company said. The restaurant will likely open by the end of the year, Chipotle said, taking the former spot of the longtime Dominican restaurant El Gran Castillo de Jagua, which relocated down the street in 2014. At the time of the closure of El Gran Castillo, brokers on the property originally said a 3,500-square-foot CityMD urgent care clinic would open at the location. In addition to the new Flatbush Avenue location, Chipotle is planning to open two other restaurants in Brooklyn, one in Williamsburg at 130 N. 4th St. and the other near Brooklyn College at 2166 Nostrand Ave., the company said. Both of those locations are set to be open by the end of September. In late June, Chipotle opened a Park Slope outpost on Seventh Avenue and Second Street. Chipotle has already begun hiring about 30 people for the Williamsburg location. A representative of the company said jobs will be filled in Prospect Heights and Flatbush soon; all interested applicants can visit careers.chipotle.com for more information. News of the openings was first reported by Patch.